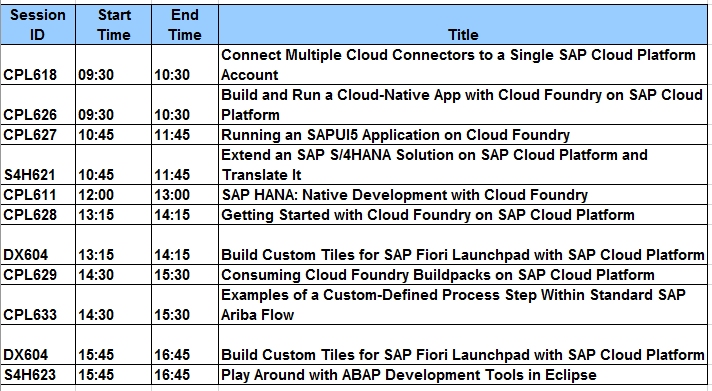 Get familiar with SAP’s technology and developer tools at this year’s SAP TechEd Barcelona with SAP CodeJam (mini-editions). 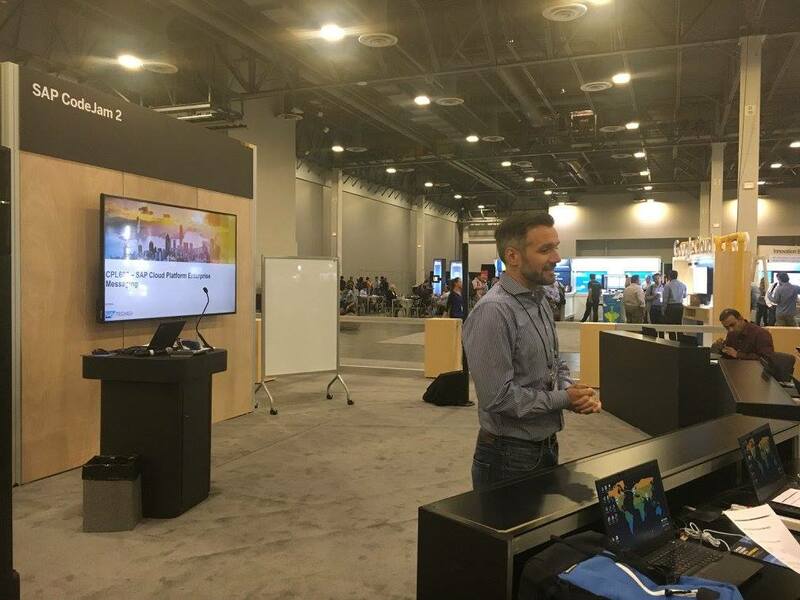 With sessions focusing on SAP HANA, SAP Fiori, SAP Cloud Platform, and many more, the opportunities to learn, engage, and explore are endless. 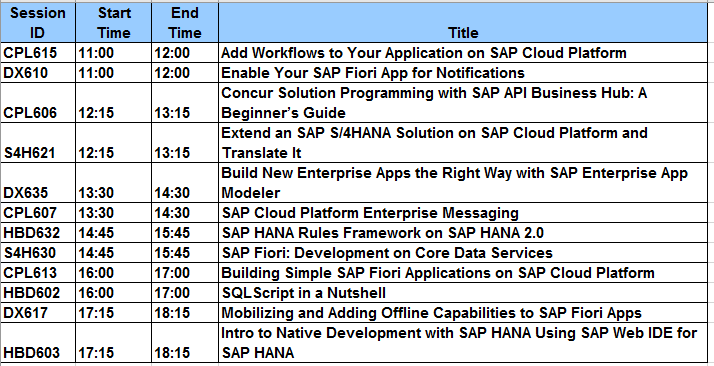 These one-hour hands-on sessions are designed to get you acquainted with SAP’s technology and developer tools that are available to you to start building your apps on SAP’s platforms with the help of the experts. All sessions are based on free developer editions (sign up anytime) which means you can continue learning and building your apps even after the event is over. You’ll also have access to the materials and exercises used for each session. The sessions will take place on the show floor in two separate but adjacent areas (The CodeJam (mini-editions) will be located in the Developer Garage – look for the signs). The laptops will be available on a first come, first serve basis for each session, so we advise that you get there early in order to secure your spot! Find a detailed description of the content covered at each session here. Haven’t registered for SAP TechEd Barcelona yet? Register here. We look forward to seeing you at SAP TechEd Barcelona 2017! To sign up for free developer editions (e.g. SAP HANA, SAP Cloud Platform, SAPUI5, etc. 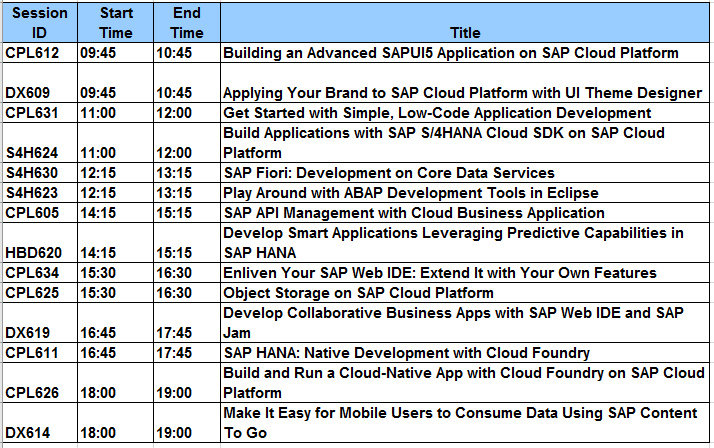 ), visit the SAP Developer Center.